here is another elusive morsel from the ever surprising Krautrock bunch. The only lp by TMA presented an original free jazz fusion a la kraut, a bit like an outrageous Annexus Quam. It has been totally ignored for years, so I guess it's time it gets the attention it deserves. Thanks a lot for this kraut rarity!! 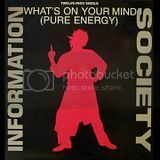 would it be possible to upload this Total Music Association album to a service that doesn't require us to sign up and download their software? Rapidshare does not require any sign-up or special software. You just click the "free user" button and you get the link after waiting a bit. 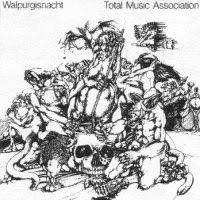 can Total Music Association "Walpurgisnacht" be re-uploaded? big annexus quam fan so looking forward to this one. thank you so much for sharing. More than kratu, this is pure free-avant-guard prog jazzy music. Very strange and stimulating. Track 1 is a bi non-sense, sounds like a joke, track 2 is crazy but with a sense. Both links are now dead. (Zshare is ALWAYS a bad idea).